Justin Dahl, lecturer of fine arts, will present the first of the spring 2016 series, “Artists on the Road: Travel as Source of Inspiration.” Dahl's presentation, “The Role of the Artist’s Sketchbook,” will be held on Thursday, February 25, at 12:15 p.m. in Upton Hall 230. It is free and open to the public. 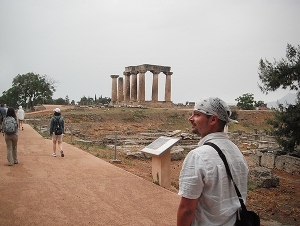 Dahl went to Athens, Greece, in 2010 and there caught the travel bug and began a six-month journey around Europe. “During these six months, I learned more about myself than any classroom could teach,” he said. “I learned that the world is enormous, we are small, and people are welcoming and encouraging wherever you go. “Travelers have a different way of thinking. They think for the moment and try not to plan to far in advance. I found myself in art galleries of every shape and size, discovered art in unknown places, and used my sketches on the street and the trains to fund my adventure. Drawing not only transcends time but also language and ethnicity. 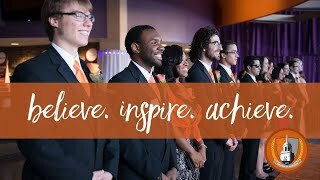 Justin earned a bachelor of fine arts in painting, sculpture, and art history from Buffalo State and a master of fine arts in painting from Radford University. He taught at Radford before joining the Buffalo State faculty. He also operated an art gallery in New York City and worked as a freelance artist in Chicago. All the lectures are held at 12:15 p.m. in Upton Hall 230 and are free. For further information, contact Carol Townsend at (716) 878-4986.